Lombok Festival has been an official Le Guess Who? satellite event since 2017. Cycle or walk through Utrecht suburb Lombok's main street, and you're immediately welcomed by Turkish and Moroccan grocery stores, bakeries, the smell of kebab, and huge piles of colorful fruits sold in the streets. 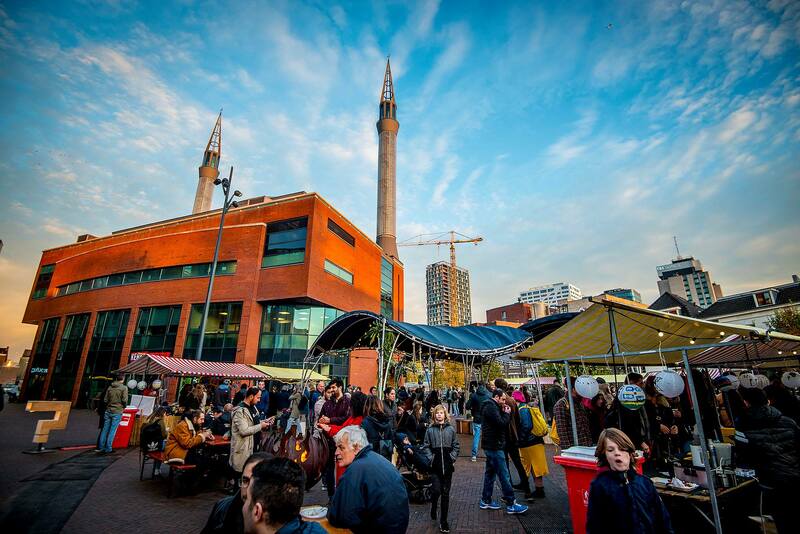 This years festival locations included the impressive neon-lit Ulu Mosque, a traditional Dutch mill and many other local neighborhood centers where communities come together, like Ubuntuhuis and the Voorkamer. Video by a small production company.